Image: Photo taken about 1940. It shows the welding of a special metal button into a Cathode Ray Tube. This tube is a precursor to the modern television screen. The tube was used for radar detection during the 1939-1945 war years. Note that the tube has been made in one piece and not welded from three separate parts as at present. The tube was made in “Hysil” glass. 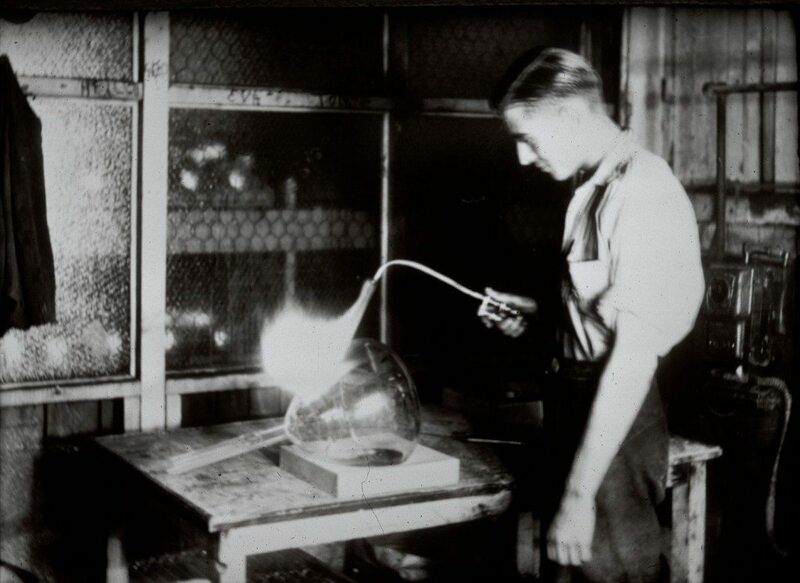 Image from: Chance Brothers Glassworks, Smethwick Slides. Broadfield House Glass Museum, Kingswinford, Dudley (Slide and Transcript no 13 by Arthur Reeves).